» Can Cats Eat Corn? Yummy, sweet and juicy! Yes, corn is perhaps the most commonly eaten food by humans may be becoming quite popular with your cat. Corn is a type of cereal plant that today many people speculate whether or not it is good for our pets. Why wouldn’t it be? Corn and corn gluten is found in almost all cat foods, right? So there should be nothing wrong with feeding your cat a corn-on a cob. Can Cats Eat Kettle Corn? The consumption of corn and in-fact, corn in a cat’s diet as seen in many pet foods; is a highly debated topic. Cats are obligate carnivores, meaning they require a meat diet as their biochemistry and physiology better enables them to digest meat-based proteins. They generally need a very small amount of carbohydrates which, in the wild, they would often get by hunting on prey animals. For example; a cat who kills a rabbit will eat every part of that rabbit including the stomach contents of digested plant matter. Corn is considered a superior grain that can provide many benefits to a cat, this is because corn contains a good source of linoleic acid, essential amino acids, and fiber. Yes, cats can eat cooked corn kernels if they so choose to. Even though cats are obligate carnivores, one study showed that they have little to no issue digesting complex carbohydrates, however, once their diet includes over 25% of starch then the effect of digestibility declines. Now keep in mind that corn, cornmeal, and corn-gluten are found in both wet and dry food for cats. According to Hills Science diet, corn can be beneficial to cat’s if after they are processed efficiently making it easier to digest. Yes, kittens too can eat corn if they so choose to. However, it is not recommended to feed a young kitten less than roughly 3 ½ to 4 months of age as corn kernels, corn silk and cobs can all be a choking hazard. If you do decide to feed them corn, make sure it’s cooked. Just be careful that they don’t overeat while enjoying the corn if you give it to them. Kettle corn is very slightly different from popcorn. It’s rich in flavor and is considered quite a popular carbohydrate. Yes, cat’s can eat Kettle corn, so as long as it’s not flavored. However, feeding Kettle corn is not recommended, especially if you have a kitten or a geriatric cat who may have difficulty eating solid foods. As you can see, some cats really seem to enjoy eating corn on a cob. According to hills science diet, corn is an easily digestible carbohydrate that contains essential fatty acids, beta-carotene, vitamin E, lutein and a heaping amount of proteins and amino acids. Ultimately, it can be postulated that corn in moderation can be a great source of carbohydrates for cats. It can contribute to better skin and coat, higher energy levels, increase immune and nervous system health. The possibility of intestinal obstructions occurring if cat consumes high amounts corn cobs or corn silk. This is often an emergency case in dogs, but can be quite urgent in cats as well! The possibility of diabetes. Corn is a complex carbohydrate that’s high in starch. Though studies show that cats have no issue digesting corn meal, another study demonstrates that a diet high to moderate in carbohydrate will increase blood glucose levels thereby increasing a cat’s risk to diabetes. There are many alternatives you can feed your cat! It doesn’t just have to be corn and if you so choose then you can go for a low carbohydrate diet in a formulation of dry and wet food for your cat. WERUVA: B.F.F line of wet cat food that is highly textured and low carb! Orijen is another Canadian line of pet food that’s more protein and fat based. Royal Canin is a very trusted brand in the veterinary world. Sure it does have corn but remember processed corn is not necessarily considered bad. So, Can Cats Eat Corn? Yes, in moderation and only soft, cooked, easy to chew kernels. 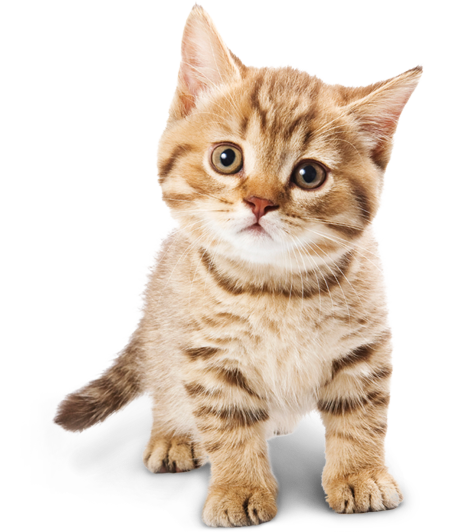 Corn can be safe to consume but is not recommended for kittens or cats with a sensitive stomach. Remember, sometimes corn and its parts can result in abdominal pain, vomiting, and intestinal blockage. Got a question? Not sure if you should still feed corn or not to your cat? Leave a comment below and I will try to answer! I'm the proud owner of 30-40 cats, at any given time. People call me the cat kingpin and if you have a problem with that, maybe we'll see if you like sleeping with the fishes.